Easter is the most important holiday of the year. While Christmas often gets a lot of focus, Christmas is only the beginning of the story of Jesus Christ. The final week of Jesus Christ's life, often referred to as “Holy Week,” is the pinnacle of the ministry of Jesus Christ and the climax of the entire Plan of Salvation. Easter is the perfect time of year for Latter-day Saints and Christians all over the world to reflect upon the life, Atonement, and Resurrection of Jesus Christ. More importantly, it is a time for everyone to reflect upon their own lives and recommit to living more Christlike. 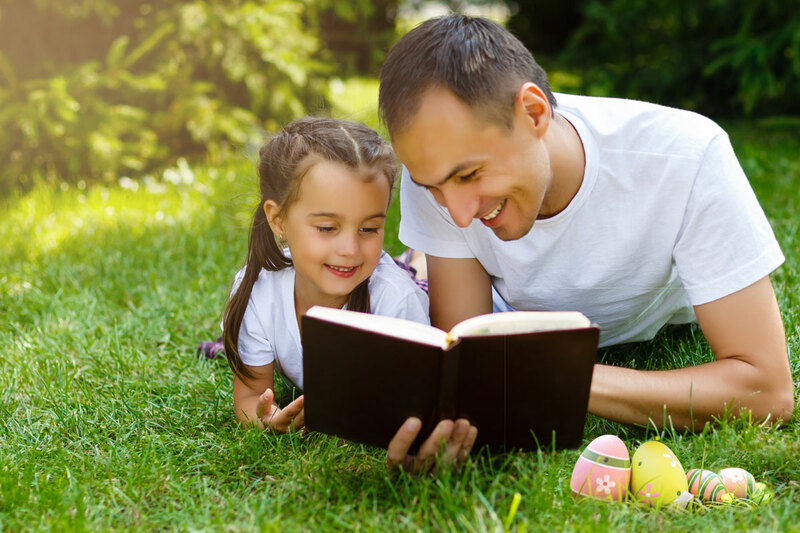 As Easter approaches, consider trying out some of these ideas on your own or with your family. Taking steps to prepare for Easter will enrich your appreciation of the Savior’s Atonement, and will help you draw close to Jesus Christ this Easter season. To help you study this week, the Church of Jesus Christ of Latter-day Saints invites everyone to study the Easter lesson in the Come Follow Me curriculum. To bring Jesus’ last week to life, follow along with Book of Mormon Central’s Easter Resource Guide. In addition to guided suggestions for scripture reading, Book of Mormon Central has pulled together videos and articles that you can use in your individual or family study for each day of Holy Week. Image by reenablack via Pixabay. One way to remember Christ during the week leading up to Easter is to change something about your life. Many Christians will give up a bad habit or vice during the preparatory period of Lent before Easter. Latter-day Saints can help remind themselves of the Atonement of Jesus Christ by sacrificing something in their life that may be preventing the presence of the Holy Spirit in their lives. Changing a habit can be inconvenient, but the habit’s absence is a constant reminder of how this week is different from others. Something as simple as giving up sweets or social media can be a great reminder of your Easter preparation. Nothing is more liberating, more ennobling, or more crucial to our individual progression than is a regular, daily focus on repentance. Repentance is not an event; it is a process. It is the key to happiness and peace of mind. When coupled with faith, repentance opens our access to the power of the Atonement of Jesus Christ. Just as Christmas music can bring a sense of festivity and joy for the season, beautiful Easter music can likewise invoke a special spirit for the Easter season.Watch the newly released Book of Mormon Central music video of Tyler Perry singing "I Stand All Amazed." The Tabernacle Choir at Temple Square frequently performs sacred hymns to help invite the spirit of Easter. On April 20, 2019, the Tabernacle Choir will perform a special Easter concert to be live streamed at ChurchofJesusChrist.org. Still of the crucifixion from the LDS Bible Videos. Image of an easter creche via LDS Seasonal Materials blog. While Easter may not enjoy the same volume of decorations that the Christmas season often invites, adding a few items to your home can bring the hopeful spirit of Easter into your life this season. Putting up paintings or images of Christ’s final week can be a great visual reminder of what the Savior sacrificed for you. The website of the Church of Jesus Christ of Latter-day Saints has dozens of high quality pictures of Christ that you can download and print for personal and home use. Adorning your home or yard with spring flowers and be good reminders of growth, rebirth and resurrection. Decorating Easter eggs or “resurrection eggs” can teach children and adults alike about how eggs can represent how Jesus broke the bands of death on that first Easter morning. Easter is a holiday of rejoicing! Because of Christ’s mission and resurrection, the Plan of Salvation is possible. Death has no sting for those who believe in Jesus Christ’s resurrection. Jesus Christ overcame the bands of death so that all of us can one day also transcend death through the resurrection. This Easter, be sure to attend Church services so that you can partake of the Sacrament. It may be helpful to contemplate the accounts of Jesus instituting the Sacrament during the Last Supper. Ponder the sacrifice of Christ’s Atonement, while you express gratitude for the joy of His victory over death. In addition to the New Testament accounts of Christ’s resurrection, you can study the Savior’s triumphant visit to the Americas in 3 Nephi. Book of Mormon Central has a wealth of resources for studying Jesus Christ’s resurrected ministry in the Americas. Stay tuned over the next week to see the release of a new Book of Mormon Central video on the resurrection of Christ! Easter is a holiday of joy, hope, and love, and it symbolizes our devotion to Jesus Christ. In many Christian traditions, Easter is preceded by a period of repentance and preparation. We can do little things every day that help remind us of Jesus Christ and the joy of his victory over death. Preparing our hearts for Easter, and remembering the Atonement during Holy Week will enrich our Church experience. It will bring renewed meaning to this beautiful time of year. But most importantly, preparing our hearts for Easter will help us get to know our Savior Jesus Christ in new and awe-inspiring ways.